The Centers for Disease Control and Prevention says this year’s flu season is one of the most intense they’ve seen in years. In all, 26 states are reporting high flu activity. Even with people getting a flu shot, many are still getting the flu. Just Tuesday, the Connecticut Health Department confirmed that a 10-year-old boy was the first child in the state to die of flu-related illness this season. In California, a marathon runner died two days after she was diagnosed. 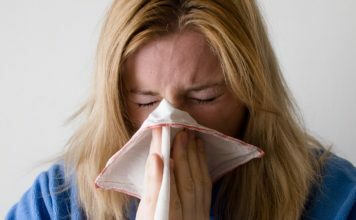 As of Thursday morning, the Florida Health Department reported Lee County has mild flu activity while Charlotte and Collier counties have moderate activity. WTSP reported about 6,000 students have cold or flu-like symptoms in Hillsborough County, according to district spokesperson Tanya Arja. The total represents about 3 percent of the district’s student population. The diocese announced Thursday that it’s suspending the sharing of consecrated wine during communion and holding hands during the Lord’s Prayer. The diocese is also discouraging parishioners from shaking hands while greeting each other during the passing of the peace. Other specific guidance calls for priests to place the host into worshippers’ hands instead of on their tongues during communion, and to use hand sanitizer before and after communion. The Maine Centers for Disease Control and Prevention reports that there’s “widespread” flu activity. The U.S. Conference of Catholic Bishops urges priests to practice good hygiene and sick parishioners to do what they can not to spread the flu. 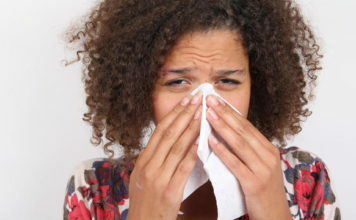 A simple sneeze can spread the flu virus much farther than you might think. But how to avoid to getting the flu in the first place? The Centers for Disease Control and Prevention listed on its website good health habits that can help stop germs. While at work, you may already be staying away from co-workers who are sick, reported CBS2’s Jessica Moore. But are you staying away from the things those people are touching, like the office water cooler and office coffee maker? Medical experts say if you want to avoid the flu, you should also avoid touching these seven things: airplane food trays and seat pockets, subway turnstiles and ticket machines, office coffee stations and water coolers, liquid soap in restrooms, salt and pepper shakers in restaurants, and gym equipment. “It’s kind of impossible to avoid every surface for 24 hours during flu season when people are touching everything. That’s why we really rely on hand washing,” infectious disease Dr. Daliah Restrepo told Moore. So which surfaces on the do-not-touch list come with the most risk? Subway turnstiles and ticket machines, as well as the office water cooler. “That’s a big one. Maybe not putting your bottle that you’re refilling right on the nozzle. That could be a problem, because it goes on your mouth and then it goes on the nozzle,” said Dr. Daliah. Something else to watch out for are aisle seats on airplanes and in movie theaters, which also get a lot of contact from people who might be ill.
“I say wipe down your aisle and sit where you’re going to sit, because you have no control over who also is going to sit next to you,” Dr. Daliah said. But there are two very important things you can control: Washing your hands and getting a flu shot. “It’s never 100 percent, but it’s really your only prevention,” said Dr. Daliah. With soap, water and a vaccine, your health can literately be in your own hands. Doctors also recommend carrying disinfecting wipes with you at all times to wipe down things like keyboards and condiment containers at restaurants. 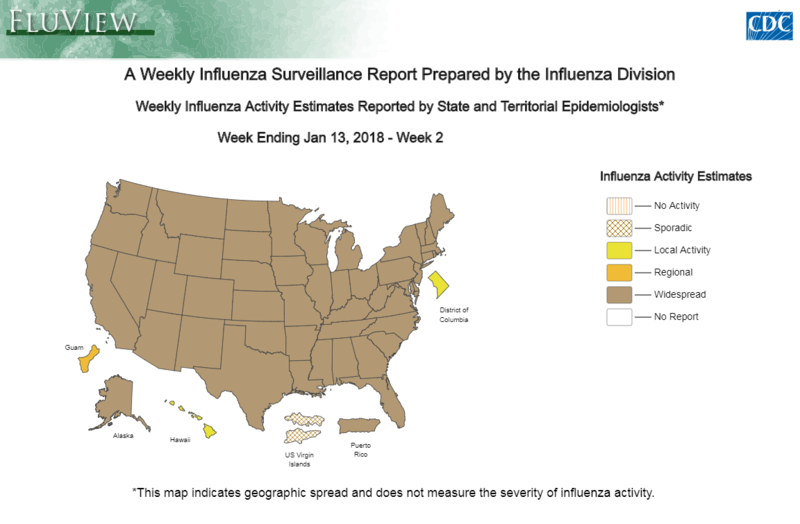 The interactive map below indicates geographic spread and does not measure the severity of influenza activity. *Information from the Associated Press and CBS New York was used in this report.